Do you find yourself reaching for an extension cord every time you want to use a power tool at your workbench? And, when you’re done, coiling it back up again? 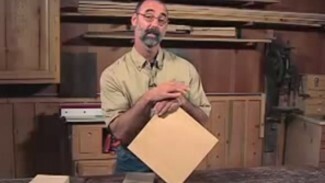 Here’s one of many cool workbench ideas we’ve come up with at WoodWorkers Guild of America. It’s a very simple way to provide power to your workbench, and it includes a simple way to wind up the cord when you’re done. 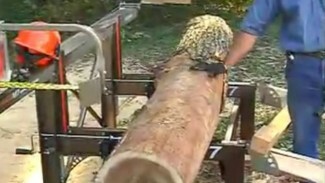 It’ll definitely make your woodworking projects easier. In order to take advantage of this tip you need to be comfortable doing a little bit of electrical work. Specifically, you’ll need to install a plug and a receptacle onto a cord. Not too tough, but ask someone for help if you need it. We’re pretty pleased with this idea, but we’ve got a lot more cool workbench ideas. 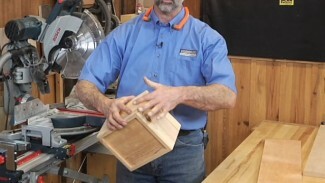 If you want to know how to install holes for bench dogs, how to make specialized vise jaws, how to install a vise, and more, have a look at our video on how to build a workbench. 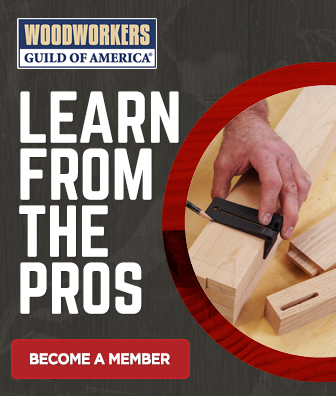 Once your bench is built and accessorized, put it to work by building one of the great woodworking projects we offer. From bowls to planters to book cases, we’ve got lots of great projects for you. I have a small shop where I hung one of these in the ceiling by my main work area. This was very convenient and worked great. However, the problem I encountered was that if I didn’t pull out the cord all the way, the heat that built up was excessive – especially if i was sanding for a long time. Nothing melted or caught on fire but the wire/base was hot to the touch. Since then, any time I’m using a tool for more than 10 minutes or so, I pull out the cable completely – even if it’s a few feet away. It sounds like you have a problem somewhere in your wiring. I would suggest consulting with an electrician to ensure that you are using the proper wiring for your tools. The gauge of wiring is suspicious to me given that you are seeing such heat build-up, but there could be other problems at play here as well. It may also be an issue with the gauge wire in the spool. Use 14 gauge or larger for running tools. Fernando is absolutely correct. The wound coil of the extension cable acts as a magnet and overheats depending on the number of turns of the cable on the drum. Best to fully unwind the cable. Absolutely right. One of the first rules of electromagnetism we were taught at school. Another option: I am an Electrician with a cellar wood shop, and I installed permanently wired outlets in the CEILING above my bench(and other locations).I can simply reach up and plug in my sander and other corder power tools, it helps keep the cords out of the way. Many of these outlets come from my shop sub-panel that feeds my machines, I typically turn off that entire panel via the main breaker when I leave the shop (I have grandchildren), others come from the lighting circuit that goes off when the cellar lights are off (stereo and clamp lights get plugged in here). I have other dedicated outlets that stay on all the time for battery chargers, air cleaner etc. I mounted one of these in the ceiling in my shop years ago works great because I can reach any where in my shop when needing an extra outlet. If I was going to mount at the bench as you did George I would run that single female plug you now have to a bench mounted multi outlet so my bench had more than a single electric supply source. Whoa Baby! That’s some expensive fix! $50-$75 for the cord reel, then what, $10-20 for the connectors? I have a 15-foot three-outlet cord hanging from a bicycle hook in the garage ceiling (plugged into the same outlet from the door opener) and then if I need more outlets, I have a 4-outlet portable reel ($20) that can go another 10 feet or so. Attached to a leg of my bench is a simple 6-outlet grounded power strip. I plug the bench leg into the ceiling cord and power everything on the bench, if I need power across the shop, I plug in the reel and reel it to where I need it. I manage to cover the whole garage shop this way, and it’s a much cheaper, more versatile solution. If you reverse the cord, won’t the tools run backwards? JUST KIDDING! Great idea! Maybe I’m dense, but I’m not seeing how this is much different from simply running an extension cord. You still have to pull the cord out of the reel and take it over to the wall outlet to plug it in. I guess the reel part is somewhat more convenient than having to wrap/unwrap an extension cord, but like Howard said, that’s a pretty expensive fix for what you’re gaining here, especially if it’s safer from an overheating standpoint to pull the cord out fully anyway. I’d rather spend the money on wood. Just my humble opinion. I did just the opposite in my shop. I mounted the cord reel in the ceiling above the workbench, then ran another extension cord from the reel’ male plug to a nearby wall outlet. With some adjustment of the ball on the cord reel, the outlet on the cord reel is at a handy height, but not so low I hit my head on it. In addition, the cord from the reel to the outlet is not on the floor and a possible trip hazard. Of course, the cord running across the ceiling and down to the wall outlet needs to be secured so it doesn’t droop down. As you say, the cord reel is real handy. Great suggestion, did that years ago but mounted “them” over head in my shop, wired one for 120 volt 20 amps and modifying the other for 220 volt 20 amps using reels from Rockler with 12 gauge wire.